This magic festival season, I was extremely excited to watch LJ the magician perform his debut magic festival show called “Kentucky Fried Magic”. 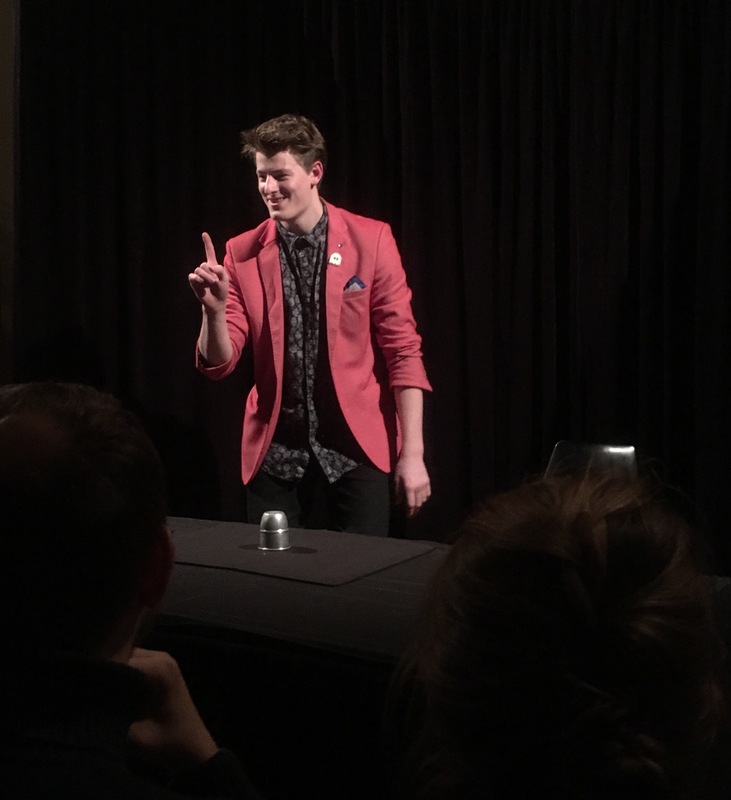 LJ is well known on the magic scene (more for his street magic performances) however no one had seen a ‘full length’ solo magic show from him…until now! Going into the show, I must admit I was curious / dubious as to how the show title would connect or relate to the magic. I needn’t have worried as LJ went about showing us his favourite “12 secret herbs and spices of magic”. There were fun moments and surprises around each corner of this show – none of us knew what to expect at any moment, which made the show exciting. There were some amusing pieces of audience participation, along with LJ’s infamous wit and a steady stream of one liners. I also enjoyed the contemporary aspects of the show, with LJ mentioning popular movies and card games during his show. LJ himself is endearing and affable, so much so that the room hardly felt like a room of strangers – by the end of the night it was like we were all friends by the end of the show, having collectively enjoyed LJ’s wonderful magic (and learned some fun facts about him along the way). Despite it being his inaugural performance, LJ appeared to be largely unflappable and the show (and magic) flowed well. The years of performing to street audiences have clearly served him well. VERDICT: Like its namesake, Kentucky Fried Magic is delicious bite size portions of magic – cooked fresh for each audience! A show that is a joy to watch and easy to enjoy. A magical treat to be enjoyed and shared with friends. This show is best enjoyed by teens and up.